I am so excited to bring you an interview with Ann Hite today. 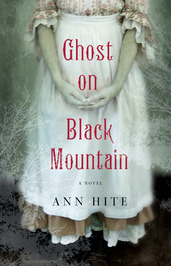 Ann is the author of Ghost on Black Mountain. This book is destined to be a best seller. It is definitely one you do not want to miss reading! I received this book from the author with a request to review. No promise of a good review was sought or given. 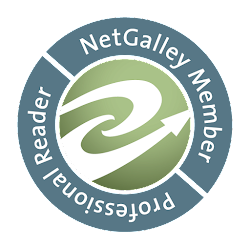 I received no compensation , other than a copy of the ARC, for this review. The review is my honest opinion. I married Hobbs Pritchard without noticing he was a spell conjured into a man—a walking, talking, ghost story. He took me up Black Mountain and it was there I learned sometimes good and bad get mixed together so well a person can’t tell the difference until it’s too late. I fell deeply in love with Hobbs as if some hoodoo was put on me. Then Miss Nellie came into our lives and changed everything. I got me this gift—restless souls line up to get my notice no matter what I’m doing. Daddy warned me not to have nothing to do with the Pritchards. Some things in life just can’t be avoided and getting mixed up with Nellie was one of them. 1.) You wrote an amazing book using 5 different narratives. What was that process like? The book actually began as three voices: Nellie, Rose, and Iona. For the longest this is the way the book remained. It was a solid book, a well written book, but something was missing. Then Gallery Books offered me a deal. My editor told me she would really like to hear more from Shelly and Josie. This is why you have a good editor, who can see your work clearer than you at times. I knew this was a wonderful suggestion. Shelly actually answered questions about Hobbs pertaining to my third novel in the series. So the answer to your question is rewriting and a good reader or editor is the key to all good books. 2.) What kind of research did you do to write such an accurate portrayal ? I wrote the first draft straight through without any research. This is my process. I like to see what I know and where the story will take me before I research. Much of the mountain life, I witnessed as a child when visiting my great aunts in North Georgia. My family had stories, superstitions, and tall tales aplenty. Even though my grandmother told me stories about The Great Depression, I did research what this era in time brought to families in the Appalachian Mountains. Several scenes in the book were researched like when Josie prepares her mother’s body for burial. The ghost stories and dialogue came naturally to me. 3.) I know you have works in progress or completed of Hobbs with his sister and of Shelly. How about any of the others? I am intrigued most by the ghost of Merlin. Any plans to tell his story? Merlin shows up in the my third novel, Where The Soul Goes. The reader finds out how ends up on Black Mountain and exactly what happens to him. In my novel in progress (the second book in the series), a new ghost appears and actually has a narrative. Her name is Armetta Lolly and when she was alive, she lived in a cemetery on Black Mountain. The cemetery is abandoned and her story hidden among the graves. My fourth in the Black Mountain series will be about three sisters. The time period is the early sixties. Of course there will be familiar ghosts and new ones. 4.) Please share with us one of your favorite scenes and tell us why you chose it. I love the scene where Josie Clay prepares her mother’s body for burial. Like my character I was surprised when Josie removed the cotton socks from this plain, devout woman’s feet and found she had toenails painted pink. I loved where Josie lets down her long hair and dries her mother’s feet with it, soaking up the perfumed water. Because I am a writer who does not outline, I never truly know what will happen until it does. This scene showed me we never really know those close to us, not really. Josie thought she knew her mother inside and out. They were close. Her mother followed the rules of the church: no makeup or jewelry. Yet, Josie finds her mother’s toes painted pink. 5.) What was your journey as a writer? A long one so far. I began telling stories before I could write, forcing my grandmother to listen to me when she came to visit. Every year my grandmother would visit for two weeks with my family in whatever state or country we were living in. I remember looking forward to this like a child looks forward to a visit from Santa. She was the book lover and storyteller of our clan. Each evening she would gather me on her lap and tell me episodes from her childhood. As I grew older, the tales became more revealing. After years of moving around the country and five years in Europe, I finally returned to the South. I was ten and it was the mid-sixties. This was enough to make a writer out of most book- loving girls. My mother had brought my brother and me to live with my grandmother in Atlanta. It was then I began to absorb the wonderful and eerie tales told by my extended family. Every weekend we piled into my grandmother’s Oldsmobile and drove to “the country” to visit with my great-aunts. I would sit among what I considered very exotic women. One aunt was always on the verge of a nervous breakdown, wringing her lace hankie in her fingers. Another wore a scarf around brush curlers wound tightly into bleach-blond hair, a cigarette hanging from her fingers. And of course there was the cousin who went and married out of the faith. Her husband was Catholic. If I was quiet, they forgot I was there and began to tell the old mountain tales. These were not for the faint of heart. Believe me. I loved each story and memorized them all. This atmosphere of tall tales, spells, and spirits gave birth to Black Mountain, even though I didn’t have a name for the community back then. I spent many hours writing and forcing my little brother to sit on the back stoop of my grandmother’s home and listen to my stories of ghosts and goblins. I can’t tell you how many times I got in trouble for scaring him silly. Ah, but children do grow up. Or do they? I became a writer. In 2003 after nearly thirteen years of writing so, so short stories, my mother died. We all have our way of mourning. I sat down and wrote ten new short stories in two weeks. Then I sent them off. Each one came back with an acceptance letter. In 2004 I wrote a personal essay, Surviving Mom, and submitted it to Marlo Thomas’s The Right Word At The Right Time Vol 2. I never thought I had a prayer. In 2006 I received a phone call telling me the essay had been accepted. This essay and a lot of hard work brought me an agent. Then it was time to up the stakes and write a novel. I did. This novel was called Beautiful Wreck and made it to the semi-finals of Amazon Breakthrough Novel Contest in 2009. Earlier in 2007 I had begun a novel called Ghost On Black Mountain, taken from one of my short stories. What can I say? Black Mountain was born and my dreams of being a novelist came true. 6.) Have you considered writing in other genres? If so which appeals to you? I write what I love to read, where my passions reside: Southern Fiction. Some call my work historical. Others southern gothic. I love writing about the past. I love writing for women, not to say men don’t enjoy my stories. They do. But when I think of readers, I always imagine a group of women. So, I just write the stories in me. 7.) If this book were made into a movie, (which I can see happening), who would you choose to play Hobbs,Jack, Nellie, Shelly, Josie, Rose and Iona? Oh would I love to see Ghost become a movie. I would choose Emma Stone for Nellie. Zac Efron would be my choice for Hobbs. See, it has to be someone who looks innocent and is handsome. I recently heard he would like to stretch himself. Well, Hobbs would be a wonderful part in which to do that. I think Chris Lowell (Stuart in The Help) could do a fine job as Jack. Bryce Dallas Howard would be wonderful as Rose. Iona is a little tougher. I think Dakota Fanning would do a good job. Shelly, I honestly don’t know. She is so unique and dear to my heart. 8.) Who are your favorite authors? Are there any books you would recommend? Oh, I am a confessed book junkie. My favorite authors are Elizabeth Berg, Ellen Gilchrist, Caroline Leavitt, Amy Greene, Beth Hoffman, and Mary Alice Monroe just to name a few. I know they are all women. I’ve read the best books recently. The Bird Sisters by Rebecca Rasmussen is beautiful. Bloodroot by Amy Greene. Saving CeeCee Honeycutt by Beth Hoffman. A book that will be released soon and I read in its early stages is The Kingdom of Childhood by Rebecca Coleman. You must watch for it. This novel will blow you away. And last but not least I strongly suggest The Taker by Alma Katsu. I just read this in galley. What a book. It comes out the first week of September. 9.) Where do you choose to write and what things must you have nearby? I live in a big four bedroom house just outside of Atlanta. When I began to write fulltime, I made one of the bedrooms downstairs into a an office. It was beautiful but I couldn’t write there. I kept bringing my laptop upstairs to my bedroom that feels as if it is in the trees with big windows and a nice view. So, I moved my desk to the bedroom. I work on an antique dining table so I have plenty of room to spread out. I have a little French-looking lamp complete with beads dangling from the shade, a bird house, and a beautiful empty pottery bowl. On the walls are different pieces that speak to me. two are drawings my husband did for Ghost On Black Mountain. One is a print of the cabin where Shelly lives. And one of my favorite items is an old fashion paperweight with a dragonfly. I love dragonflies. 10.) Please tell us what we can look for and the best ways to follow you? I’m in the process of finishing book two. This book is about Shelly Parker but introduces the reader to new characters as I said before. I will be all over the Southeast during the months of September and October. The best way to keep up with me is to go to my website www.annhite.com and send me an email through contacts. I will add you to my newsletter list. I also keep the website up to date with the newest happenings. Check out my book trailer: http://www.youtube.com/watch?v=pQq84F7-S_E I had so much fun creating this. The photos are of my mother and aunts. The story blew me away. I know that it is one of my picks for top 10 books I read this year. I finished it a few days ago and still have the characters in my head. The author set out to tell you a haunting story you would not forget and she accomplished it. Not only will the story stay with you but the characters will. Ms Hite has done an excellent job of getting the reader invested in the story and in the lives of her characters. My family has lived in eastern Kentucky since the late 1600's. I tell you that so you understand that when I say she accurately portrayed the characters you know I have something to base that on. I could easily relate to Nellie, Shelly, Rose, Josie and Iona. I grew up listening to stories of haunts, (as I believe any "mountain girl" has). I could picture the things Ann Hite wrote of happening. I could see every encounter with a ghost. Ms Hite used language common in the mountains. Her writing style reflected the mountains. She took me home. Ann Hite wrote a ghost story, a mystery, a romance and a coming of age story, (for we see Nellie go from an innocent teen to a woman with a heavy past), all in one. This novel is epic! It will grip you from the start and keep you long after you have finished it. I believe everyone who reads this will find something of themselves in it. It will not matter if you are from the mountains or the valley, country or city, north or south. You will see yourself and people you know in the characters. You will be swept away. Ghost on Black Mountain is a book that , when you finish it, you think "who can I call to talk about this book with?". I was excited for this one before, but now I can't wait! I love that it's historically/regionally accurate! I worry about that with this type of book sometimes. It sounds spooky and interesting. Thanks for the interview and review. I'll have to check into this one. Thanks for stopping by. This is an awesome read!I will have a surprise coming up dealing with it! I am so excited! I just downloaded this yesterday and now I really can't wait to read it! !